Blackjack Hi-Opt 2 Counting System is considered to be the most advanced of the High Optimum card counting systems; it was designed for advanced blackjack card counters. It resembles Hi-Opt 1 Count but the difference between them is that the Hi-Opt II adds an additional counting level to a balanced count. The Hi-Opt II System offers you a small advantage over less complex systems and if you have no difficulties with using Hi-Lo and Hi-Opt I, then you would probably like to slightly increase your advantage against the dealer. 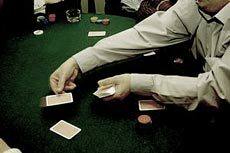 The edge over the casino provided by this strategy is very small, and that is why this count system is recommended only for experienced card-counters. Its prerogative is that it gives an awesome level of accuracy while in its turn it also requires an awesome level of concentration. We advise you to master to the Hi-Opt I system and then to move on to the Hi-Opt II system so you were sure that really want the small extra edge that this system provides. 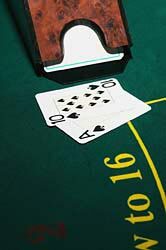 If you are acquainted with card counting systems, then you know that most of them employ card values of 0, +1, and -1. The first thing you need to know about the Hi-Opt II system is that the cards have a larger range of values which makes it harder to keep track of each card. Hi-Opt II gives certain cards a value of +2 to make the entire count more accurate for the player. There are separate groups of card values. All 2's, 3's, 6's, and 7's in the deck carry a value of +1 when they are played. All 4's, 5's have the value of +2, whereas the 10's, Jacks, Queens and Kings are valued as -2. You’ll notice that the Hi-Opt II System tags Aces as neutral, but you can advance the system by analyzing the number of Aces drawn from the packs. In theory you’d expect one Ace to be drawn for each quarter of a deck but in real game they will be much more random. If a quarter-deck has been dealt with no Aces (Ace poor), add +1 to the count. And if 2 Aces have been dealt (Ace rich), subtract 1 from the running count. The combination of multiple card values and Ace counting in multi-packs can be complex, that’s why you are recommended to use the Hi-Opt II system if you’re already familiar with card counting. Aces aren't actually counted in your count but there are several variations and changes to your basic strategy you'll need to make, depending on how many Aces have been played. The Hi-Opt II System uses bigger values to slightly shift the power of card counting more in your favor and it has the potential to provide the slight advantage over the casino that can pay seriously.